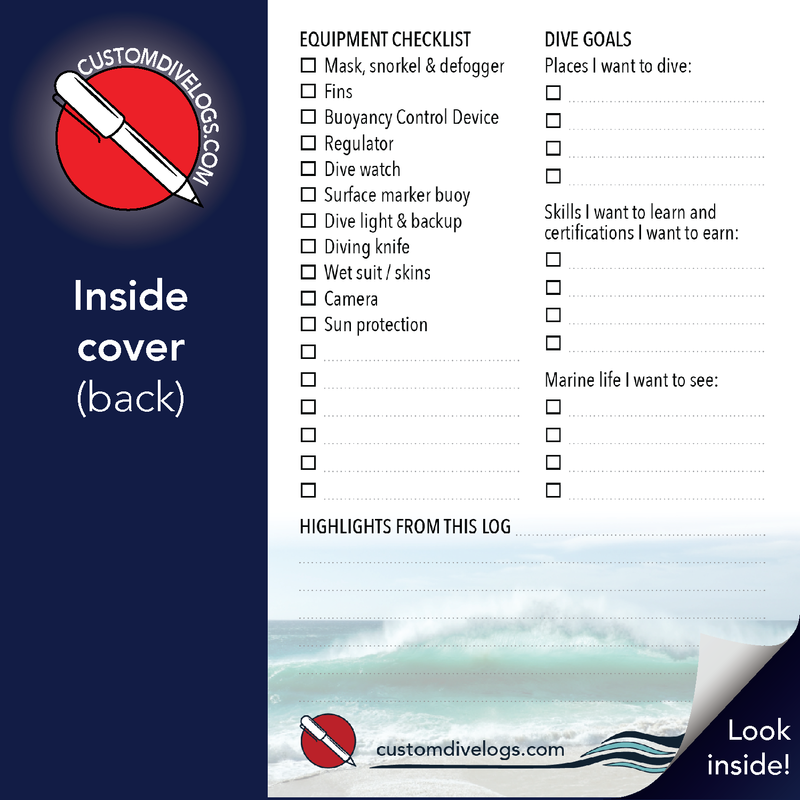 Customizable and made-to-order: Dive-bag friendly logbook with pages for 36 dive entries. 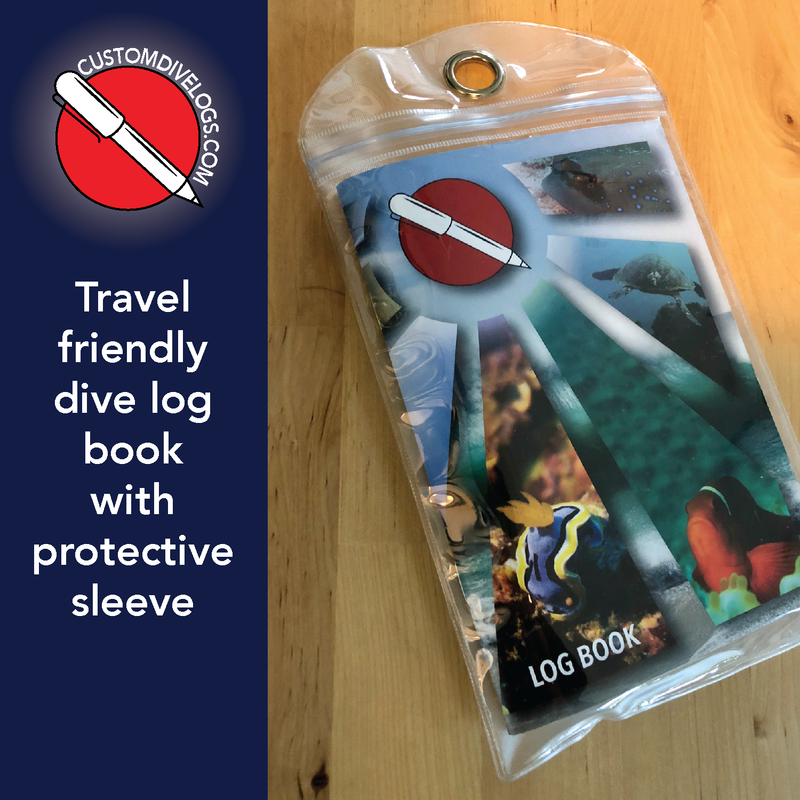 We include your logo on the outside cover. If you don’t have a logo, we can help. 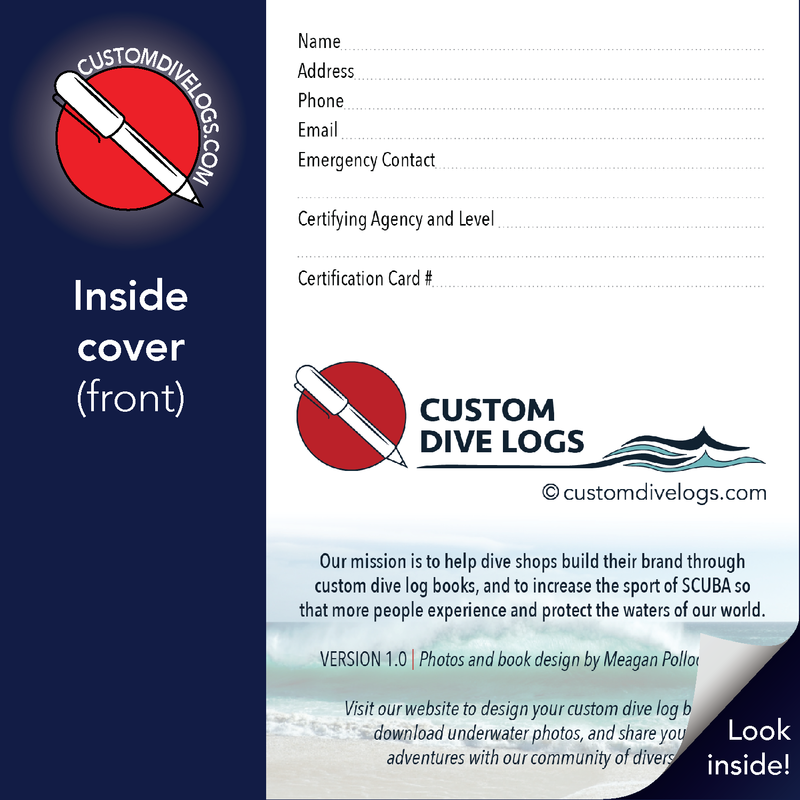 We include your store info on the outside cover. 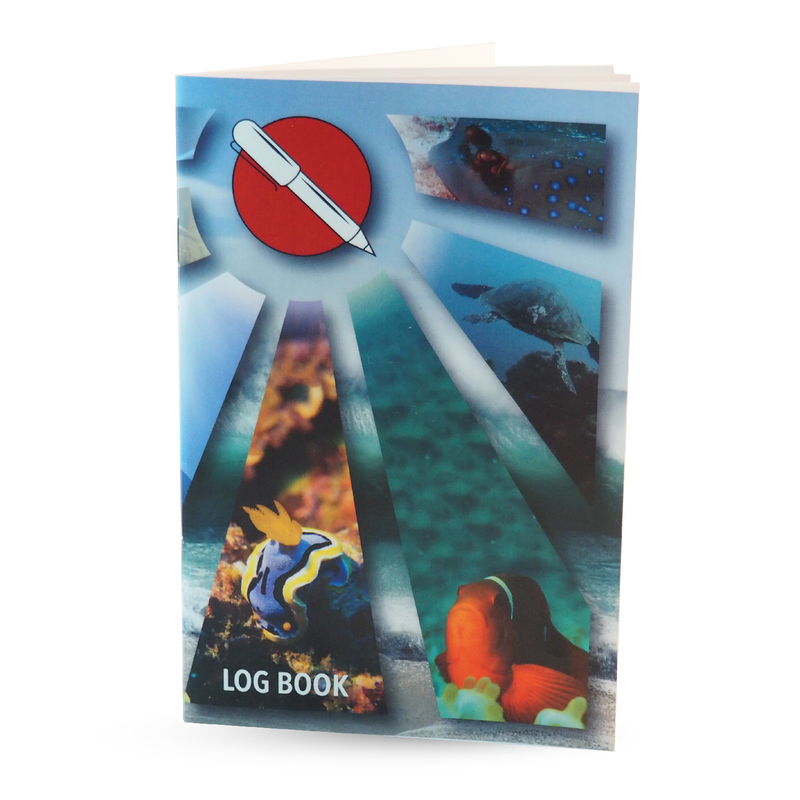 The bottom 1/2 of the inside cover is customized with your information. Please select options and add desired bulk quantity to your cart. 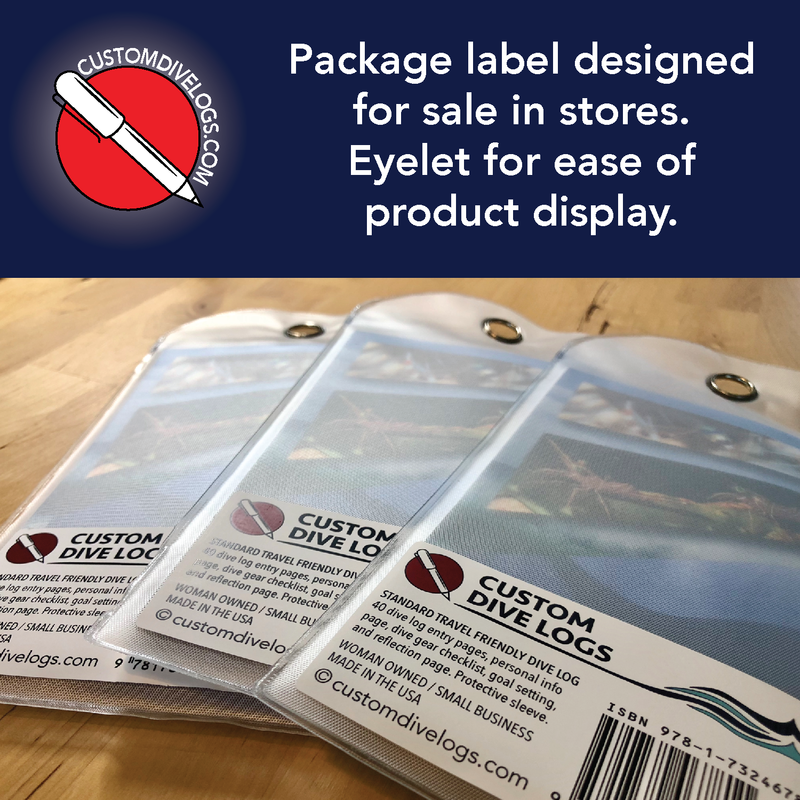 If you’d like to add more text than the basic store details, please add that text in the provided box. Also, describe to us what you are looking for in the design. 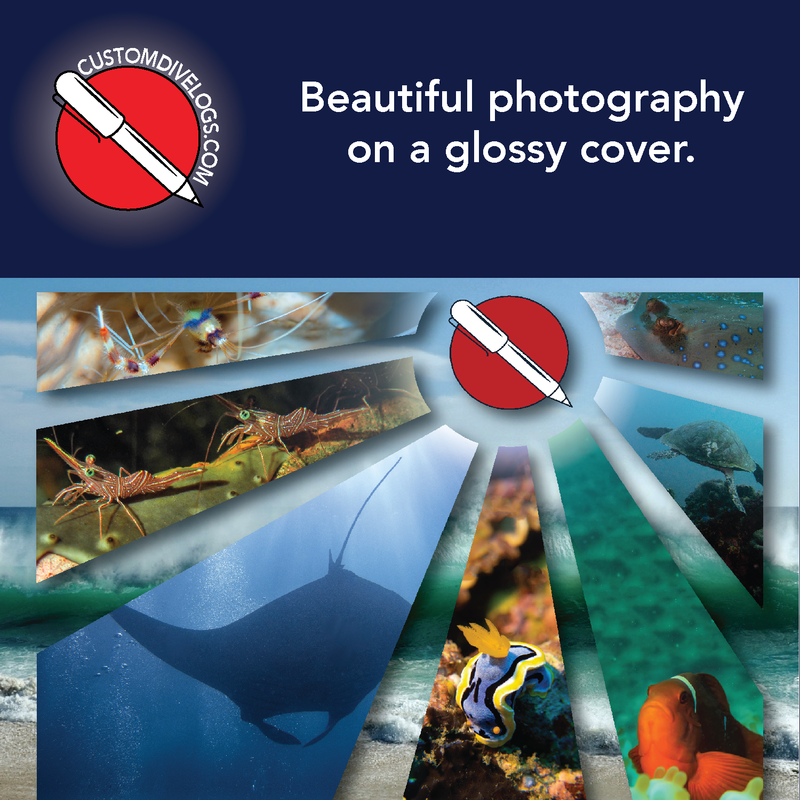 You can purchase a stock photo from any distributor (i.e. stock.adobe.com, shutterstock.com). 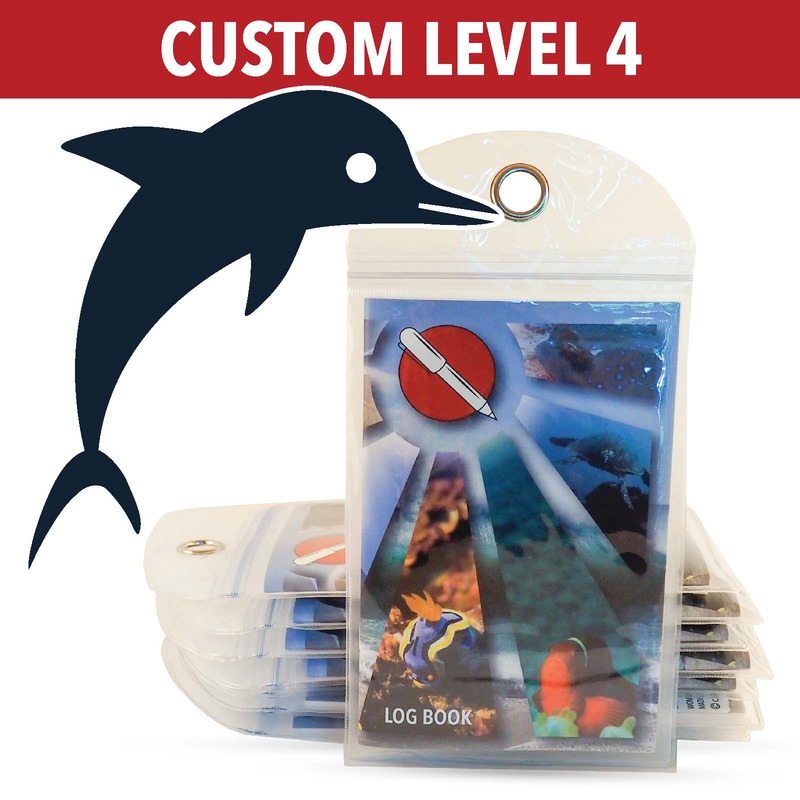 Keep in mind that the photo must able to fit, or cropped to fit, the cover dimensions (front/back = 7.5″w x 6″h or front only 3.75″w x 6″h). If the photo will wrap front/back like our templates, the composition of the photo must complement the folded design. The photo must be high resolution. By uploading a file, you guarantee that you have the rights to use and distribute the photo. Upload your own high resolution logo. If you don't have a logo, we can help. Explore our Logo Design Service here. Depending on space, some items like phone, email, and complete address may be on the back cover. Write out the text you want to include and any necessary descriptions. If you do not need a UPC code label on the back of the protective sleeve, you can opt out of this feature. Minimum Order: Minimum order is 250. The more you order, the better the price we can offer you! Timeline: In most cases, we’ll start working immediately. 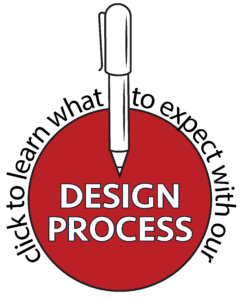 The design and revision time is dependent on the complexity of the order and your response time. 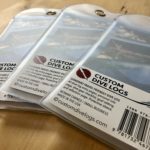 Once the final proof is approved, the order takes 2 weeks to manufacture and ship domestically (US). Revisions & Changes: Revision cycles are limited to our terms and conditions. Please review those along with our design process here. 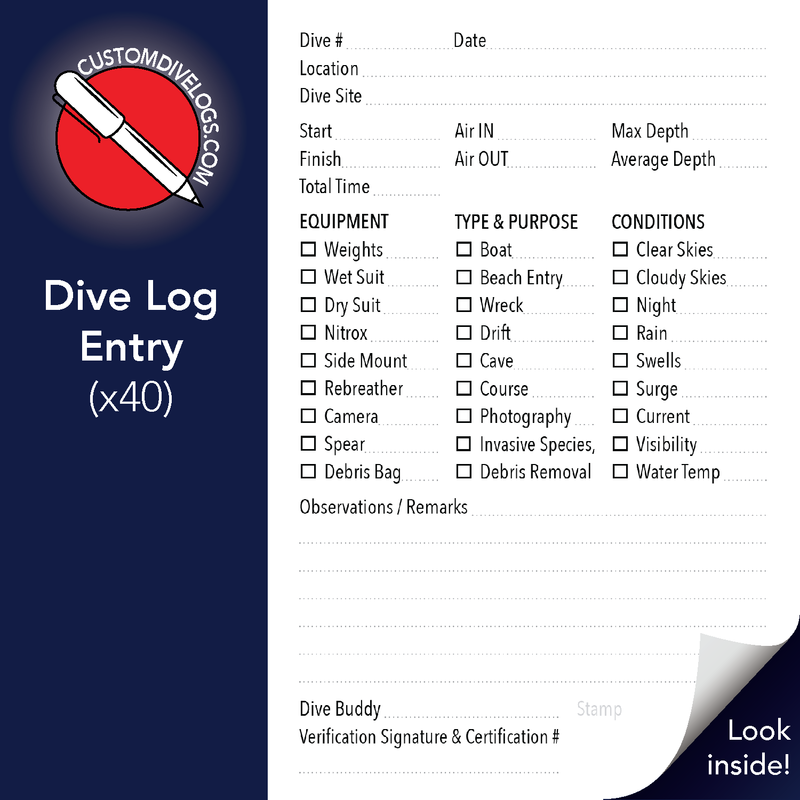 Return Policy: It is our goal for you to be happy and to love your Custom Dive Logs, and we’ll do our very best to ensure that we meet that goal. However, after proof approval, we are not able to offer refunds or product returns. If you decide to cancel your order after we’ve begun designing, we can issue a refund minus $250 plus $100/hour for labor.